Congratulations to Lorraine who entered here on the blog and to @kitkabbit for her Instagram entry! For all you pop-up fans, I have something special to introduce today. 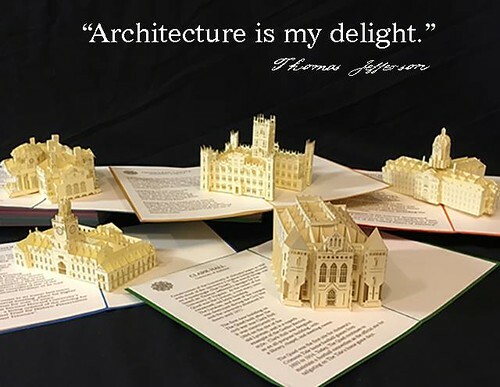 Well-respected paper engineers Robert Sabuda and Chuck Fischer have joined their talents and admiration of iconic buildings to create LegacyPop, a new stationery venture. 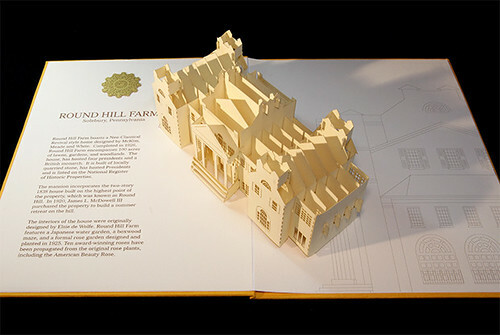 Chuck wrote to me to explain that he and Robert love architecture (as well as paper and paper pop-ups), especially historic architecture, and have launched a line of intricately detailed, laser-cut pop-up cards and special edition, large format pop-ups of the world's greatest structures. "This past summer, while talking about our work and what kind of projects we'd like to work on in the future, we discovered we both were thinking about starting a company with a focus on architectural pop-up cards and bespoke, one-of-a-kind, 3D pop-ups of private homes. We immediately decided to join forces and start creating 3D prototypes to launch a crowd-funding campaign." "LegacyPop combines artistry with laser technology to take the art of pop-up design to a new level of sophistication and style. Our creations will surprise and delight every time you open a LegacyPop card or Special Edition pop-up." The Indiegogo campaign has been successfully funded, but because it is an In Demand campaign, it is still active. All of the available PERKS listed on the LegacyPop page are available. 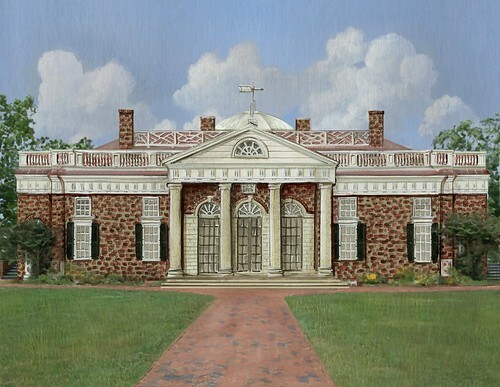 In addition to historic buildings, such as Highclere Castle of Downton Abbey fame, Monticello, Thomas Jefferson's home, and colleges and university buildings, Chuck and Robert welcome the challenge of creating an architectural pop-up of your own home, garden, fraternity or sorority house, or historic property. 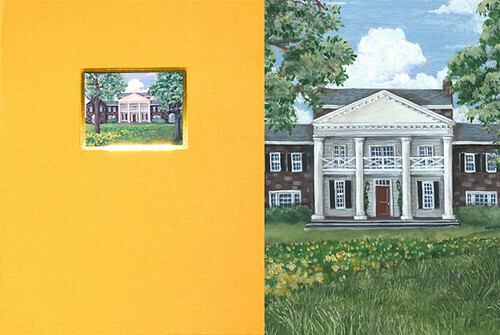 Each Special Edition Pop-Up includes a giclee print of an original painting by Chuck Fischer. Now about the international giveaway! 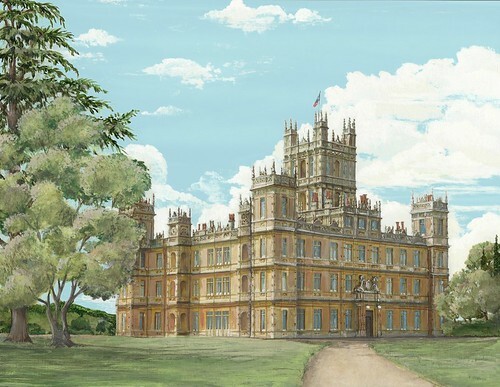 Two winners will each receive two signed First Edition LegacyPop Cards - (1) Thomas Jefferson’s Monticello and (2) Highclere Castle (Downton Abbey) and an 8 x 10-inch Digital Print of Chuck Fisher's original painting of each of the buildings. This giveaway is also underway on Instagram. Enter at one or both places by the end of Saturday, January 14, 2017. One winner from each location will be chosen at random and announced at the top of this post and on the Instagram giveaway photo respectively. Good luck! What a great way to wake up this morning! I am a huge fan of both these artists and am SO grateful for the opportunity to win some of their combined work! Thank you! I love pop-ups! These are spectacular. I love pop ups. And these are incredible! Wow! These pieces are amazing! I watched the video and am blown away. I'd love to have one. Thanks for showing this to us, Ann. The art and engineering involved here is amazing. This would be a wonderful present for my step-father, a retired architect! Pick me! Pick me! I'm so impressed! THANK YOU FOR POSTING THIS TERRIFIC WORK. What lovely things! They are beautiful. Thank you to you and to LegacyPop for the giveaway. These pop ups are phenomenal. I,d love to own one and display it in my home, thank you for the chance to do so. Cool design and well assembled, it's such a rare thing in this digital era.. Yes Nicola, the cards are for sale even though the campaign was fully funded. Hover over Estimated June 2017 on the item you want and Get This Perk will pop up. Click on that to order.